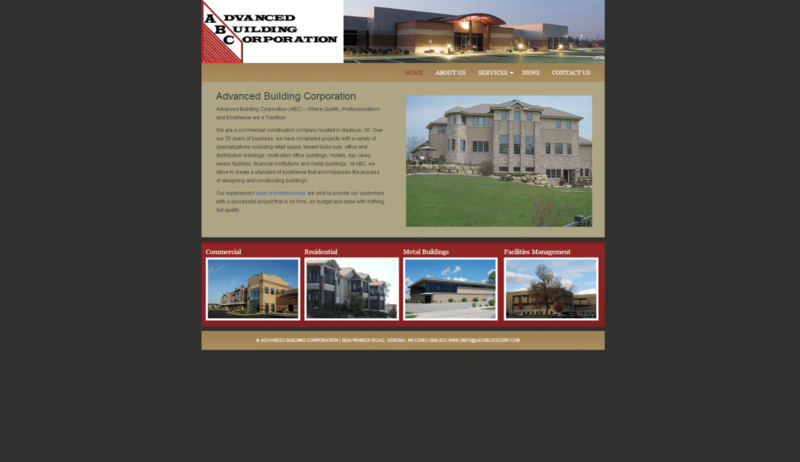 Advanced Building Corporation is a commercial construction company located in Madison, WI. with over 30 years experience. Megh Designs provided a clean customized WordPress layout for potential customers to navigate giving Advanced Building Corporation a one of a kind web presence.